According to a long forgotten prophecy that is recently being rediscovered, Iran appears to be the subject of two differing end time’s prophecies. 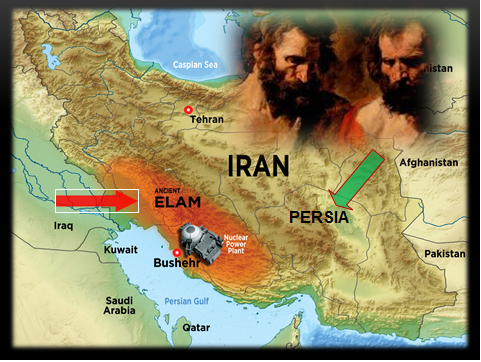 One prophecy is described in Jeremiah 49:34-39 concerning ancient Elam, and the other is in Ezekiel 38 regarding Persia. This article denotes the differences between Jeremiah 49:34-39 and Ezekiel 38 and 39. Several of these dissimilarities are substantial, which suggests that Jeremiah and Ezekiel are not describing the same prophetic event. Jeremiah issued his prophecies concerning Elam about 596 BC. Jeremiah wrote about Elam about a decade before his contemporary Ezekiel prophesied about Persia in Ezekiel 38:5. Ezekiel’s ministry spanned between 595-573 BC. (i) Modern day Iran is comprised of ancient Elam and Persia. Ezekiel was familiar with Elam according to Ezekiel 32:24-25, but he did not include Elam in the lineup of invaders in Ezekiel 38. As the remainder of this article points out, Elam was probably intentionally omitted, because it is the subject of its own distinctly different prophecy, outlined by Jeremiah. The events described in Jeremiah 49:34-39 take place inside of the borders of Iran. Jeremiah 49:35 informs that Iran is struck at the foremost of its might and this causes Iranian refugees to seek exile outside of their homeland. Jer. 49:36 predicts that “the four winds from the four quarters of heaven” will be brought “against Elam.” Jer. 49:37 declares that the “disaster” comes “upon” the Iranians. Jer. 49:38 informs that the Lord will “set” His “throne in Elam.” These prophecies are geographically specific. They must occur within the borders of Elam, which is the Central Western region of modern day Iran. (See map below). Conversely, the Ezekiel 38 and 39 invasion, from start to finish, takes place in Israel according to Ezekiel 38:8, 16, 18, and 19 and Ezekiel 39:2, 4, 9, 11, and 17. At the time of the Ezekiel invasion, Israel may have enlarged their borders as a result of an IDF victory over the Psalm 83 countries, but there is no biblical basis to believe that any part of modern day Iran will be part of a future greater Israel. The fact that Ezekiel 38 omits Elam from the very specific list of populations that coalesce with Russia against Israel could be telling. 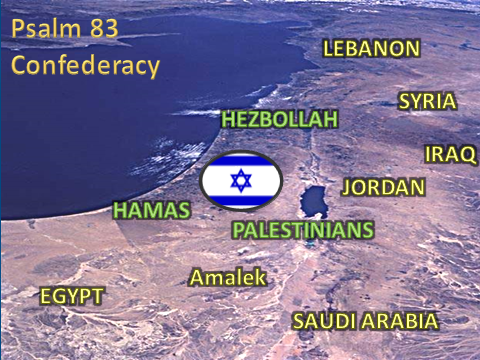 Neither Elam nor any of the Psalm 83 countries are included in the Ezekiel 38 coalition. I think this is a conspicuous omission on Ezekiel’s part. Ezekiel 38 and 39 provides an enormous amount of meticulous details about the entirety of the Ezekiel invasion. It includes the participants, the spectators, the battle zone, the motive, the destruction involved, and the important details surrounding the aftermath events, i.e. the mop-up of the war. Why would Ezekiel overlook Elam and Israel’s prime enemies today that are listed in Psalm 83? After all, the Ezekiel invaders have to travel over the lands of the Psalm 83 countries to even get into Israel. The first question to address is, was Ezekiel aware of Elam and the Psalm 83 populations of Edomites, Ammonites, Moabites, and seven other populations? The answer is yes! Ezekiel listed the various Psalm 83 populations by one or more names about eighty-nine times in his forty-eight chapters. Ezekiel mentions Edom, Edomite, or Edomites six times. Ammon, Ammonite, or Ammonites are written about six times also. Moab, Moabite, or Moabites are identified by Ezekiel three times. Egypt, Assyria, Tyre, Philistia and most telling even Gebal are also included in Ezekiel’s forty-eight chapters. In fact, Gebal, which is located in modern day Lebanon, is only listed in Ezekiel 27:9 and Psalm 83:7. Why does Ezekiel 27:9 include Gebal, but Ezekiel 38 omit Gebal from the list of invaders? It is safe to presume that if Gebal was a participant in Ezekiel 38, that Ezekiel would have included Gebal. WHAT ABOUT ELAM: DID EZEKIEL KNOW ABOUT ELAM? The second question is, what about Elam? Did Ezekiel know about Elam? If Elam didn’t exist at the time, or if the prophet was ignorant of its existence, then that could logically explain the omission of Elam from Ezekiel 38. 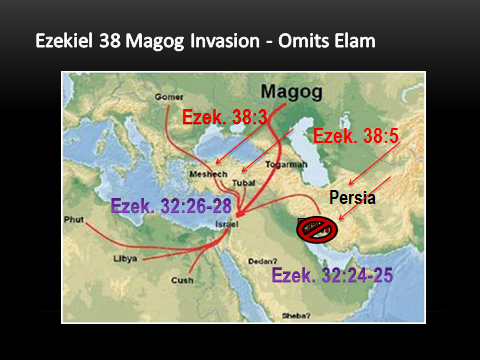 The truth is that Elam existed when Ezekiel 38 was penned, and the prophet was fully aware of its location at the time. Ezekiel actually issued a prophecy concerning Elam in chapter thirty-two. Ezekiel authored his forty-eight chapters between 593-571 BC. (iii) By the time Ezekiel 38 was written, Elam had already been identified in Genesis 10:22, 14:1, 14:9, Isaiah 11:11, 21:2 22:6, and Jeremiah 49:25:25 49:34-39. In fact, apart from Daniel 8:2 and Ezra 4:9, Ezekiel 32:24-25 represents the last biblical inscriptions of Elam in the Old Testament. As you read the pertinent Ezekiel verses below, note that they were probably written around 585 BC. 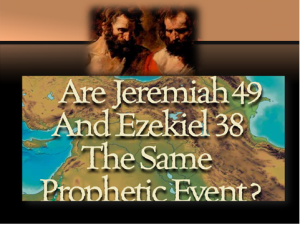 (iv) This means that Ezekiel prophesied about Elam approximately eleven years after Jeremiah 49:34-39 was written. Ezekiel connects more prophetic dots by acknowledging that Elam is guilty of causing “terror in the land of the living.” The prophet also mentions this fact two times in these verses. Iran is notably the world’s foremost sponsor of international terror. Below is a quote from the Council on Foreign Relations website. This next section continues to answer the question as to whether Ezekiel intentionally omitted Elam from Ezekiel 38 and 39. It has already been shown that Ezekiel was familiar with Elam, but there is more to consider concerning his omission of Elam. The conclusive clue for me is contained in Ezekiel’s multiple references of Meshech and Tubal. Ezekiel writes about this dynamic duo in Ezekiel 32:26-28, 38:2-3, 39:1. Ezekiel 32:1-32 identifies seven significant populations among the slain. These peoples are listed in the order of Egypt, Assyria, Elam, Meshech, Tubal, Edom, and Sidon. It is important to notice that Persia is not listed anywhere in Ezekiel 32. Iran was primarily identified by the western world as Persia until 1935. Modern day Iran is included in Ezekiel 32, but only under the banner of Elam! With the exceptions of Meshech and Tubal, Ezekiel 38 and 39 provides a lengthy list of entirely different populations than Ezekiel 32. These two peoples from Meshech and Tubal are alluded to in both Ezekiel 32 and Ezekiel 38. Ezekiel 38 and 39 includes; Magog, Rosh, Meshech, Tubal, Persia, Ethiopia, Libya, Gomer and Togarmah. These nine comprise the Ezekiel invaders. A possible list of the modern day identities of the Ezekiel invaders are displayed with the red lines on the Ezekiel 38 image. Notice that Elam is not listed anywhere in Ezekiel 38! Meshech and Tubal were the sons of Japeth, who was Noah’s youngest son, according to Genesis 9:18. Both Meshech and Tubal settled in what is today modern day Turkey. In tandem, they show up together seven times in the Holy Scriptures, but only in Ezekiel 32 and 38 and 39 are they depicted in Bible prophecies. These above verses from Ezekiel 38 and 39 include three out of the four prophetic biblical references to Meshech and Tubal. They are clearly identified as members of the Gog of Magog invaders that come to take a spoil from Israel in the latter years according to Ezekiel 38:1-13. Ezekiel 32 taken in correlation appears to add some concluding details surrounding the destruction of Meshech and Tubal. 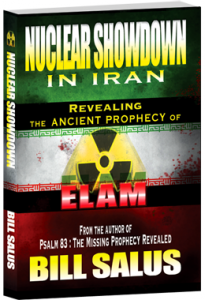 In my book titled, Nuclear Showdown in Iran, Revealing the Ancient Prophecy of Elam, I explain the potential connections between Meshech’s and Tubal’s involvement in Ezekiel 32:26-28 and Ezekiel 38 and 39. At this point, it’s important to discuss Iran’s double jeopardy in the latter days. Iran is the subject of dual judgment prophecies, one in Jeremiah 49:34-39, and the other in Ezekiel 38 and 39. This means that the rogue nation will experience double trouble in the end times. One of the strongest arguments for believing that Jeremiah’s prophecy concerning Elam is not part of Ezekiel 38 is found in the observable omission of Elam in Ezekiel 38. Elam’s exclusion from Ezekiel 38 appears to be intentional. The prior section pointed out that Ezekiel was extremely familiar with Elam, and Meshech and Tubal, because he predicted their final fates in Ezekiel 32. The prophet includes Elam in Ezekiel 32:24-25 and Meshech and Tubal in Ezekiel 32:26-28. These verses neatly blend into one another on the pages of the Bible. This congruency possibly suggests that Elam’s judgment closely precedes that of Meshech and Tubal. 1.) Why would Ezekiel lump Elam and Meshech and Tubal together in Ezekiel 32, but extract Elam from Ezekiel 38, which also incorporates Meshech and Tubal? 2.) Why would Ezekiel substitute Persia in place of Elam in Ezekiel 38 alongside Meshech and Tubal? 3.) Does this imply that Elam is the subject of its own prophecy, written by Ezekiel’s contemporary Jeremiah, and is not involved in Ezekiel 38? These and many other questions are answered in the Nuclear Showdown in Iran, Revealing the Ancient Prophecy of Elambook. Several other important distinctions between Ezekiel 38 and Jeremiah 49:34-39 are also pointed out in the book. 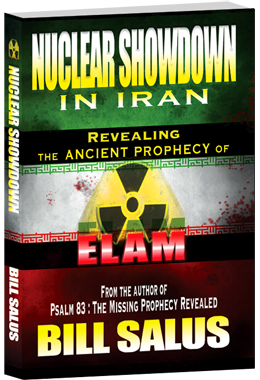 Purchase your copy of NUCLEAR SHOWDOWN IN IRAN, REVEALING THE ANCIENT PROPHECY OF ELAM. (ii) Quote taken from The Bible Knowledge Commentary in the section of Ezekiel 38:1-8.